I recently received a query on how to convert JSON to CSV. Usually, If the JSON file is small or has a simple structure then I would use any of the online converters to quickly convert it to CSV. But if the JSON is complex or needs more customizations then I would convert it using VBA. Let’s understand this in 3 steps. JSON file can be read in 2 ways in VBA. I’ve explained FileSystemObject in the Excel JSON article already so let’s use Open File for Input method. myfile = Application.ActiveWorkbook.Path & "\posts.json"
I saved my JSON file in the same folder as the excel file so I used Application.ActiveWorkbook.Path to get the current path. You can just set it to full file path if required. FreeFile method is used to get the next free file number which will be used as a temporary memory stack. In the above code, you can just use fileNum = 1 but it might cause some issues when you are working with multiple files simultaneously. myfile = Application.ActiveWorkbook.Path & "\sample.txt"
Print #fileNum, "I am writing to a text file using VBA!" It’s self-explanatory if you read the first Code explanation. Print method writes to a new line each time it is called. Now Let’s understand how to write to a CSV file. CSV file is nothing but a text file with rows separated by line and columns separated by a comma. myfile = Application.ActiveWorkbook.Path & "\test.csv"
rowData = rowData + Chr(34) + Trim(cell.Offset(0, i).Value) + Chr(34) + ","
ColumnsNum can also be made dynamic but usually, Columns are not very high in number so I mentioned the number of columns manually here. Change the columnsNum according to your data. CSV File will be saved in the same as folder as the excel file in which this code is executed. Now You know how to read a file and write a file. Let’s read a JSON file, parse it and convert it to CSV file. I’m using a library VBA-JSON to parse JSON in VBA. I’ve explained it in detail in Import JSON to Excel post. If you haven’t read that then go have a look before you read this. formatField = Chr(34) + Trim(val) + Chr(34) + ","
Firt we open the JSON file, read the data, parse it and store it to JSON variable. Print headers manually. Remove this line if not required. Loop through each object in JSON and get appropriate fields. Each filed has to be wrapped within quote and comma has to be added for all fields except for last field. Finally print each rowData and close the file! Note that this code works only for above JSON structure. You have to modofy the code to match your JSON structure. Read JSON tutorial here and understadn the structure. 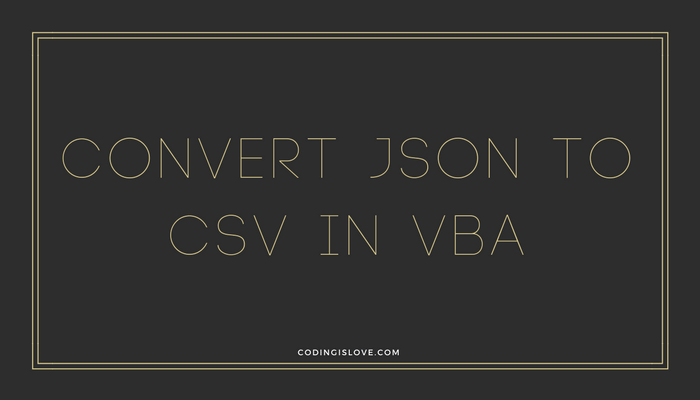 Let’s convert the above generated CSV to JSON. Here’s the code. jsonFile = Application.ActiveWorkbook.Path & "\generated-posts.json"
I’m using ADODB recordset to read CSV file. We can also use Open as Input method and read line by line getting each row. But csv doesn’t always mean that new line = new row. Sometimes there may be line breaks in the fields. So I’m using ADODB connection. 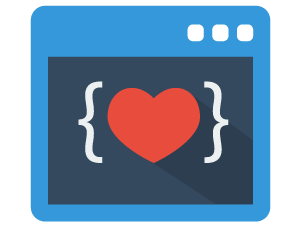 Read JSON tutorial for beginners, understand JSON and adapt the code for your requirement! easy to follow and quick turnaround for support. Do you have a tutorial on accomplishing Bisynchronous Google Sheets as an API? Hi Jon, I’m writing a blog post on the same topic. It’ll be out in 2 days! other link did not post which shows it is possible. Please send me an email notice when you complete the tutorial. May I send the notes to you? Actually the most complex step while converting JSON to CSV is converting JSON hierarchical structure into a table. There are utility functions helping you to do that: ToArray(), or even Flatten() then ToArray() from https://github.com/omegastripes/VBA-JSON-parser. Once you have the 2d array representing the source data, that isn’t a problem to generate content for .csv file, or put the array to a worksheet and save it as .csv file.